Thai immigration have announced a major change regarding the financial requirements needed when applying for an extension of stay based on retirement, often referred to as a retirement visa. Confirmed in police order No. 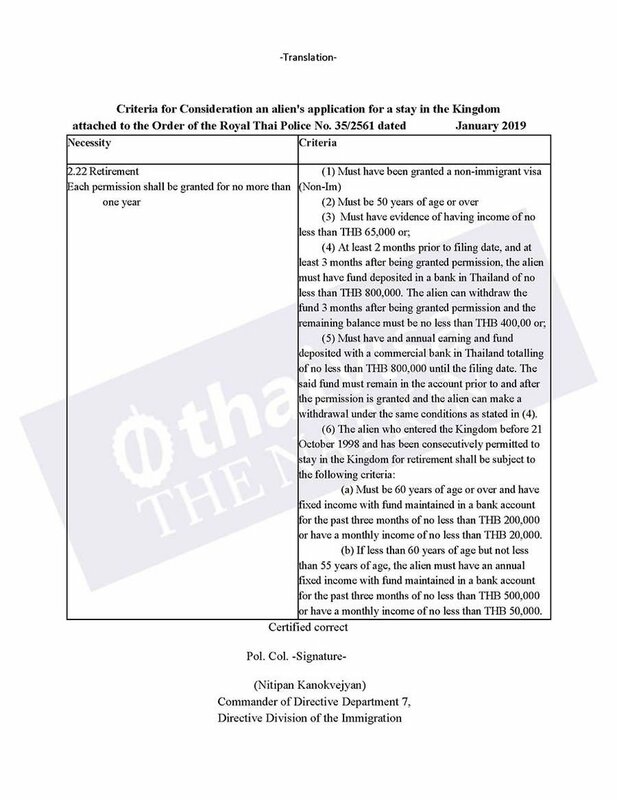 35/2561 obtained by Thaivisa, foreigners who apply for a retirement extension using the 800k baht in the bank or the combination of income method now need to keep 800k baht in the bank for three months after the extension and 400k baht in the bank after that. 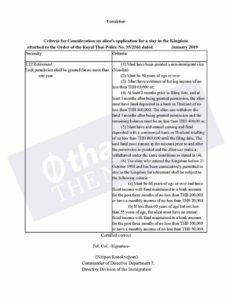 Foreigners must still be able to show the 800k baht in a Thai bank two months before the application for the retirement extension. (5) Must have and annual earning and fund deposited with a commercial bank in Thailand totalling of no less than THB 800,000 until the filing date. 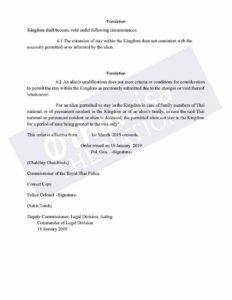 The said fund must remain in the account prior to and after the permission is granted and the alien can make a withdrawal under the same conditions as stated in (4). The new requirements to keep 800k baht in the bank for three months after the retirement visa is granted is effective from 1st March 2019. The new requirements are likely the result of immigration officials trying to put an end to the practice of visa agents falsifying bank statements for foreigners who do not have enough money to meet the financial requirements needed for a retirement extension. 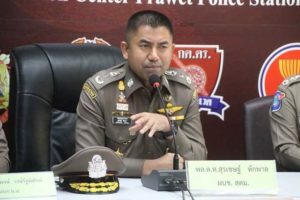 In October 2018, the then newly appointed immigration chief Surachate Hakpan – known as Big Joke – vowed to crackdown on visa agents who falsify documents for foreigners applying for visas and extensions of stay. The news comes after Fabulous 103 FM in Pattaya earlier reported that Thai immigration was considering introducing a requirement to force some retirees to show a bank statement with 800,000 baht balance every three months. 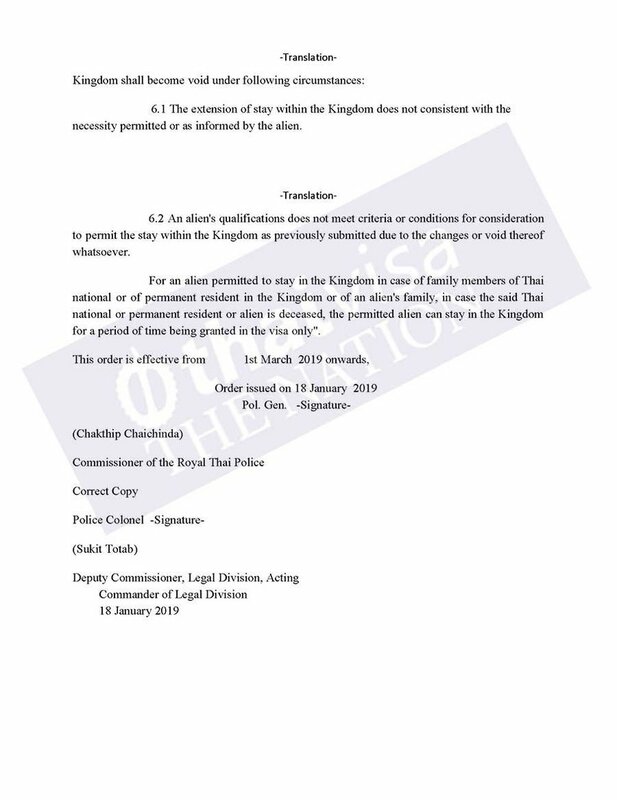 While the proposal reported by Fabulous 103 FM could be a separate requirement, Thaivisa believes that it is in fact the requirement detailed in the police order No. 35/2561.